In this paper it is argued that the politicians use sport terms to force various ideas and concepts on other people. 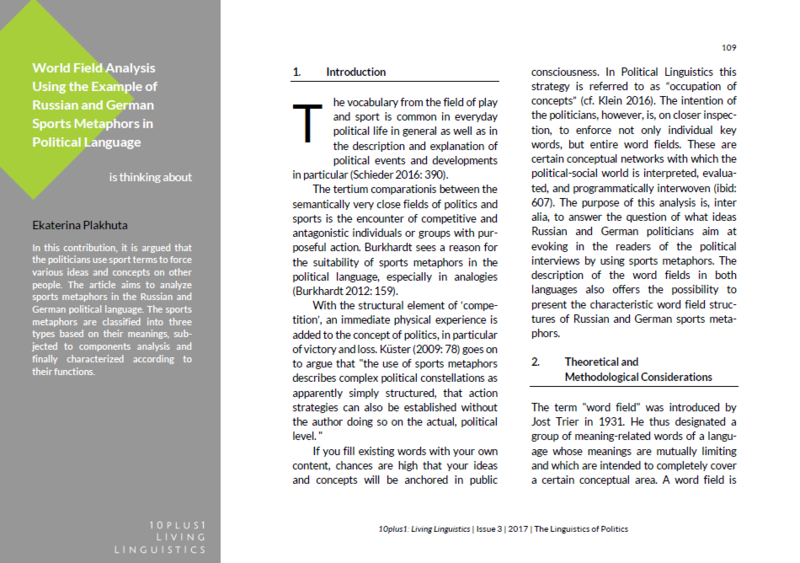 The article aims to analyze sports metaphors in the Russian and German political language. The sports metaphors are classified into three types based on their meanings, subjected to components analysis and finally characterized according to their functions.